I bought five bluebooks today as an early attempt to prepare myself for battle. I kind of get paranoid when it comes to things like this because, being the forgetful person that I am, I'm afraid that I might enter the room with no ballpen, no eyeglasses, or no bluebook. It's a recurring nightmare, trust me. (Second only to failing a class - but still.) So I bought five, even though I think I will only be needing three, just so I can be sure that that scenario stays in my head and never plays out in real life. It's funny how we are made to feel like law school is such a different world, detached from the rest of the university. Even our bluebooks are special. 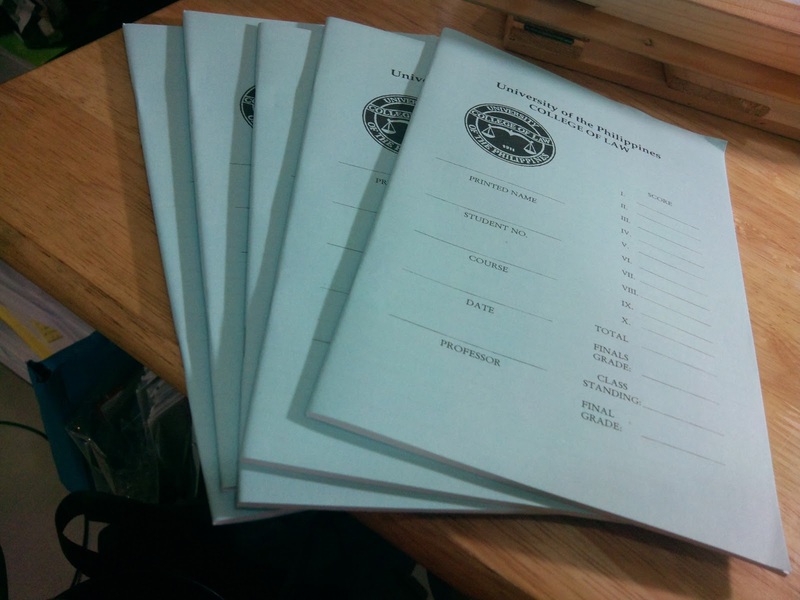 (If you notice, they are much thicker than the regular bluebooks, and cost P10 each, as opposed to P2.50.) On most days, it's comforting, because everything inside Malcolm becomes familiar: when you see the same faces and walk the same halls, things start feeling like home. Everyone knows almost everyone - by face, by name, by affiliation. There's somehow an unspoken acknowledgement that you know each other - it's like you are all in this exclusive little world speaking a language no one understands. But on some days, it can also feel alienating and suffocating for the exact same reason. Because our blocks don't get shuffled, we see the same faces all day, everyday. We rarely have time to go out of the building, so it's just the same food, the same library, the same environment. You can feel easily smothered just because you hardly feel like there is a life outside the marbled walls of Malcolm Hall. A lot of days, I can't tell if I feel welcomed or stifled. Today, however, we held our last Oblicon class - an integration/review class with another block - inside the Ambion Room, where I took my LAE more than a year ago. I remember thinking to myself that day that even if I never get to call this building my home, at least for just one Sunday, I was able to experience what it was like to take a seat on these wooden chairs and marvel at the wonderful sight of the Sunken Garden by the window. This afternoon, while listening to our prof review the ways of extinguishing an obligation, I looked out those same windows. I miss being out there, I really do. But today, I'm glad to be inside this bubble. I just hope it's glad to have me too. Finals are next week, so I'm spending my entire Holy Week here at my condo unit, alone and buried in cases. 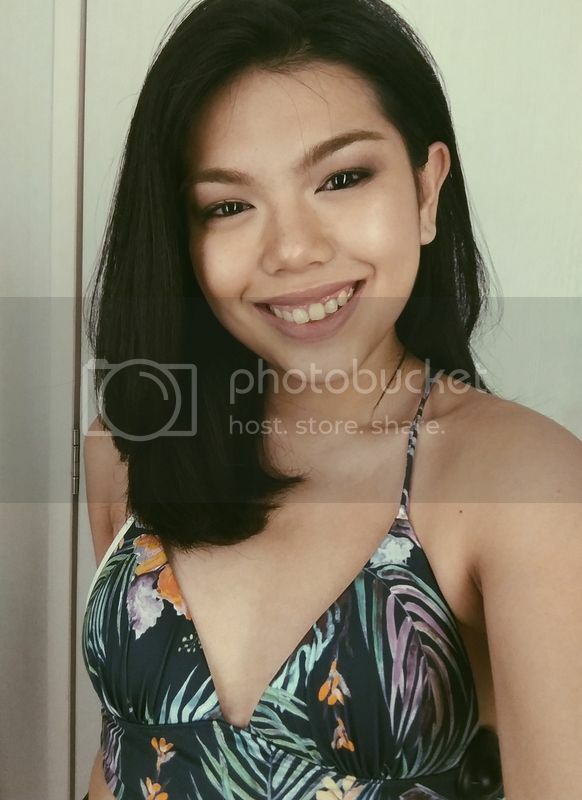 This is actually the first time ever that I won't be spending this week over at my grandparents' house in Batangas because (1) they are in Singapore visiting my mom's sister, and (2) I have exams. Both my parents will also be going on their yearly pilgrimage, so I really have no one else to keep me company this week other than my books - and my fear of failing. Ha. Ha. Hahaha.